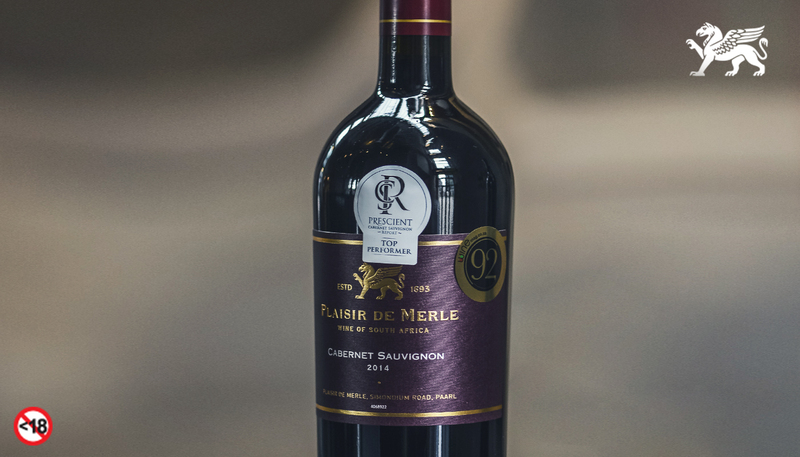 The 2014 Plaisir de Merle Cabernet Sauvignon has received a score of 92 out of a 100 from the Prescient Cabernet Sauvignon Report. Now in its seventh year, the competition received 89 entries from 74 producers and scored according to the 100-point quality scale. Plaisir de Merle winemaker, Niel Bester, says this recognition underpins the essence of the wines crafted at the historic wine farm. This particular Cabernet Sauvignon was sourced from vineyards situated on south-eastern slopes of the Simonsberg Mountain between 12 and 23 years old and planted in weathered, decomposed granite soils where the high mountain peaks shade the vineyards from the warm afternoon sun. The grapes were hand-picked and after fermentation spent up to nine days on the skin to extract maximum colour, fruit and complexity. The wine was matured in a combination of new and older French oak barrels for 12 to 16 months. Dark ruby red in colour the aromatic red berry fruit, sweet spice and hints of vanilla and oak on the nose leads to a full-bodied, fruit driven taste. Blackberry fruit, cedar, dark chocolate, sweet vanilla and firm ripe tannins fills the mouth with a lingering aftertaste of sweet red berry fruit.